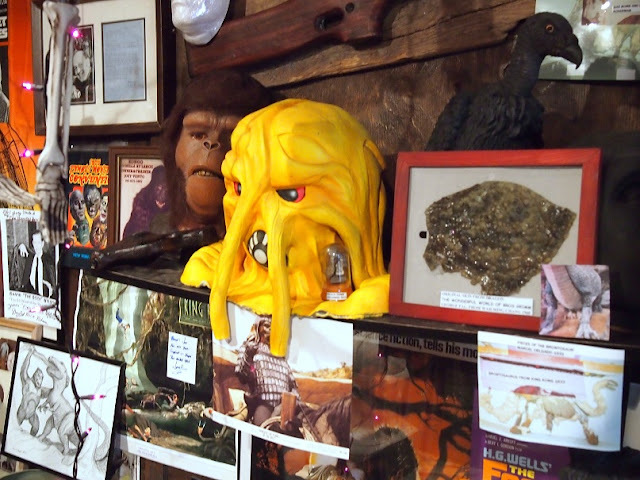 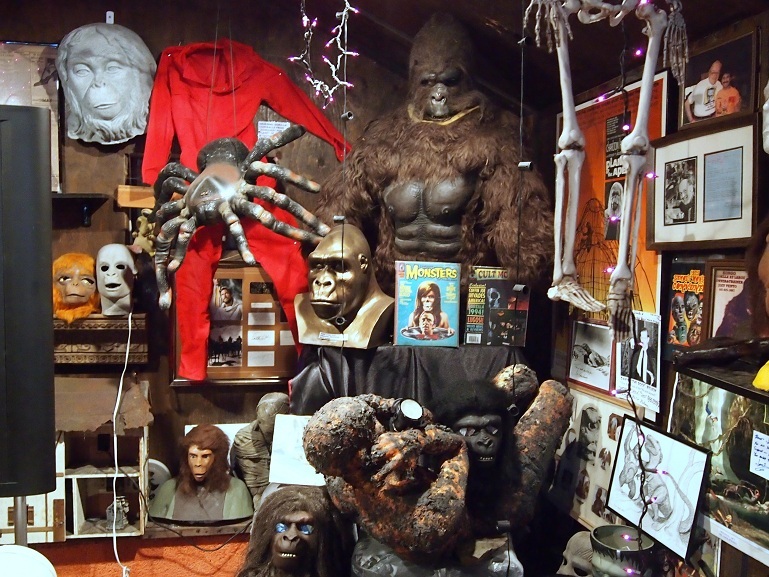 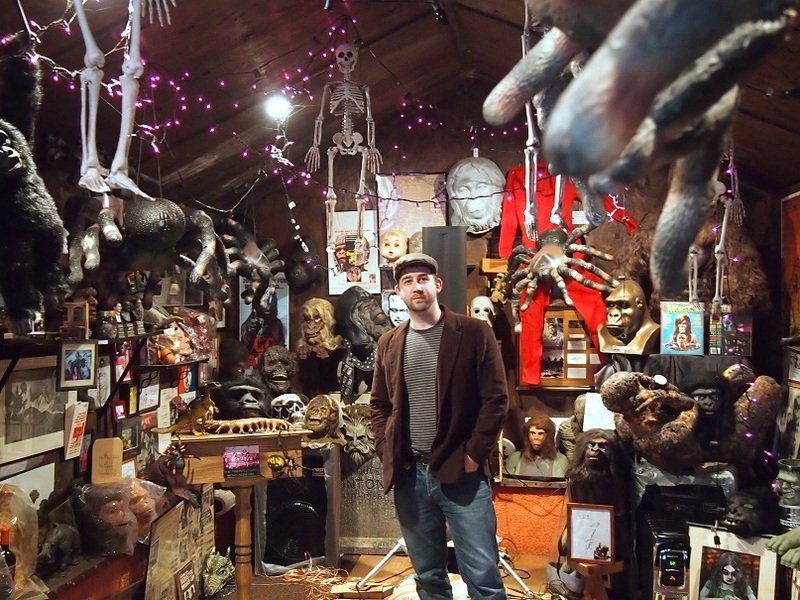 October 10, 2012 — The Haunted Barn Movie Museum in the Hudson Valley town of Monroe feels like the room of the coolest 12-year-old boy on the planet. 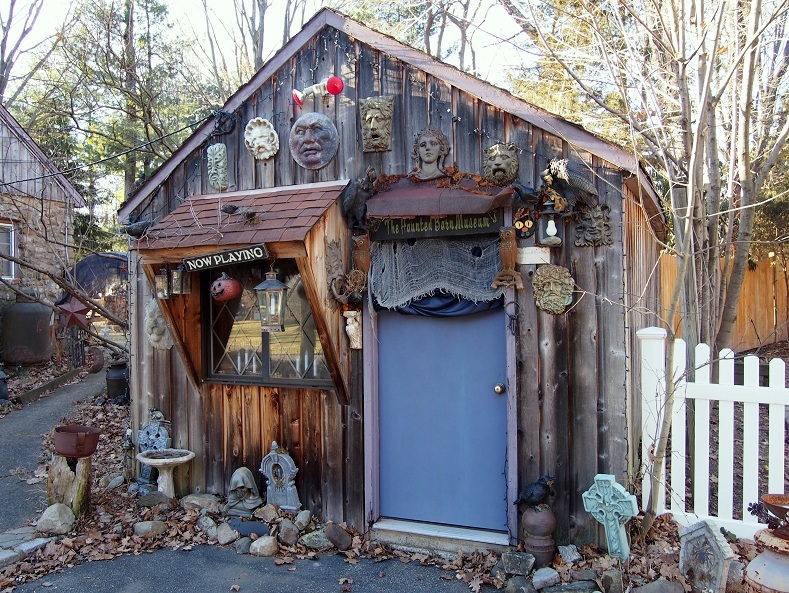 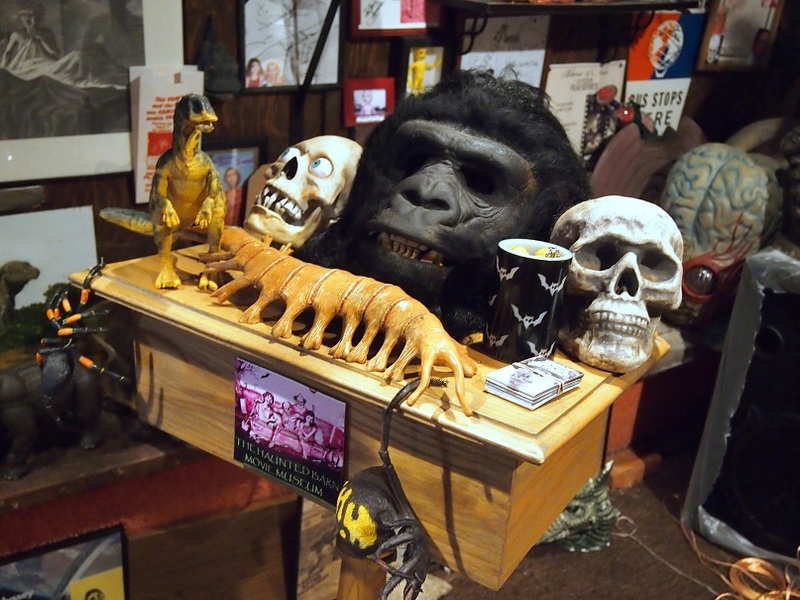 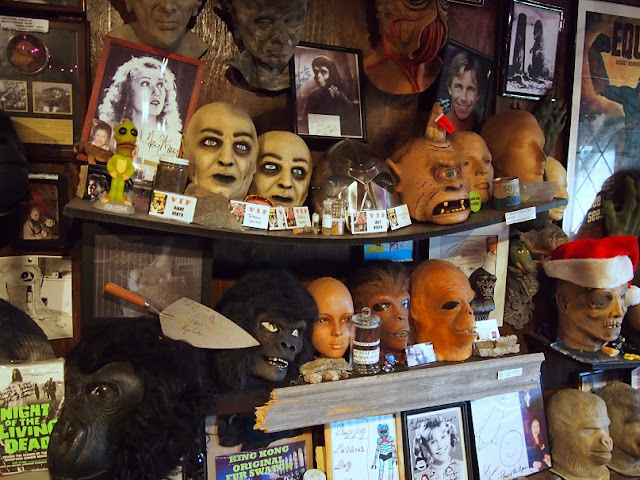 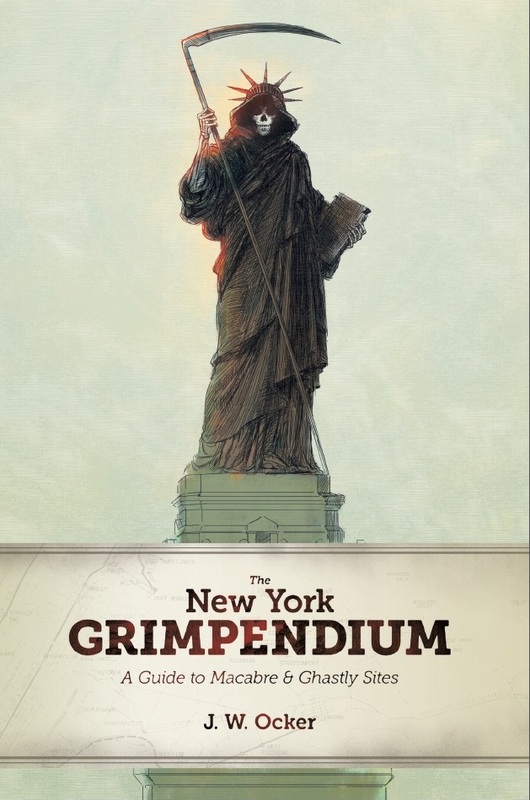 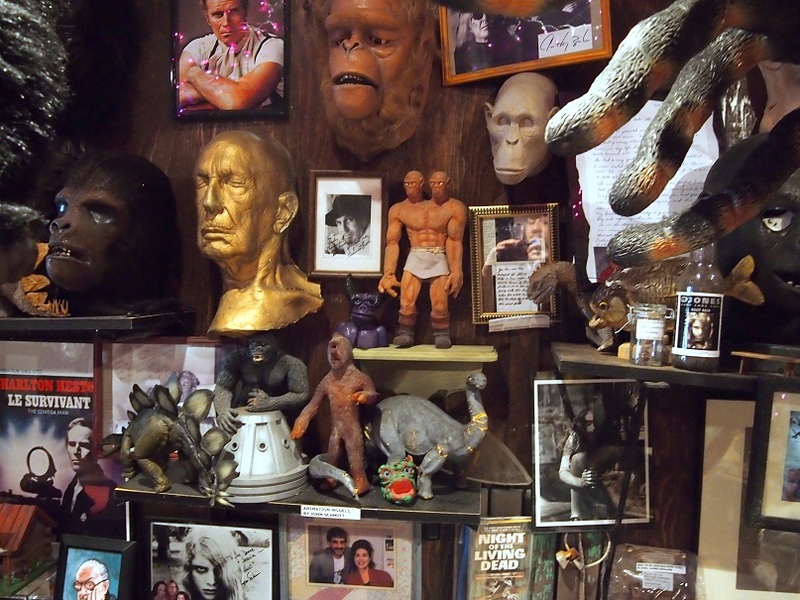 Located in a shed behind the house of its owner and curator, Joey Vento, the museum is filled top to bottom with monsters of every sort, all jumbled together in a glorious hodge-podge like somebody took apart every Creature Feature ever shown and threw them haphazardly about the place. 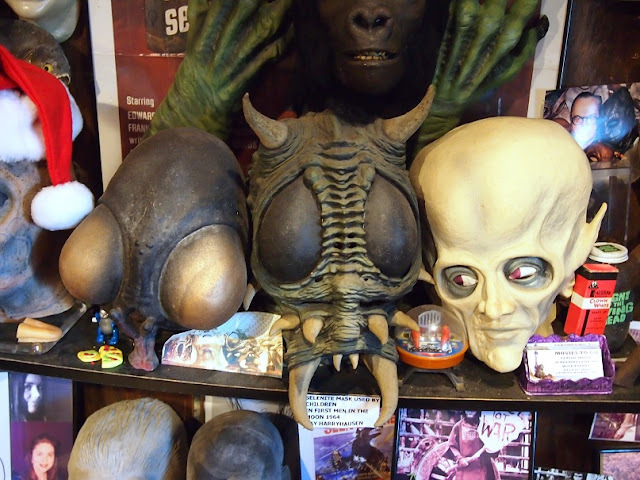 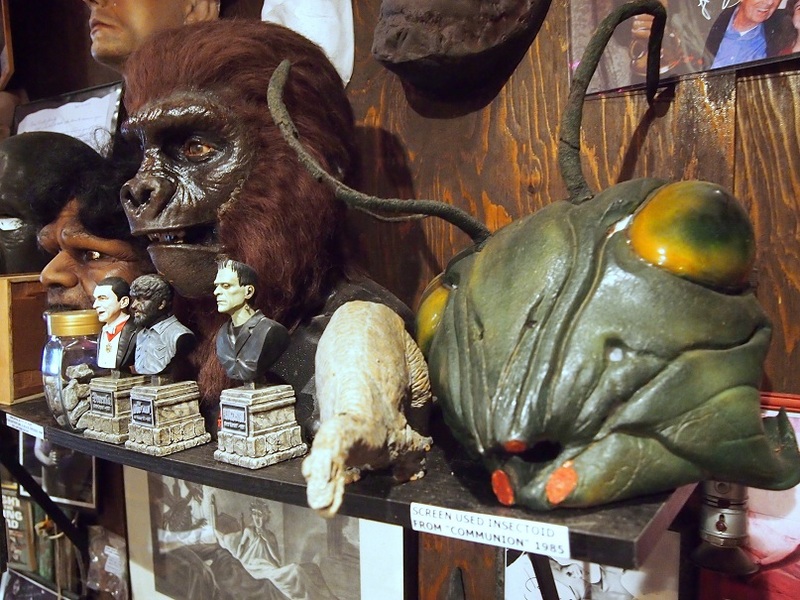 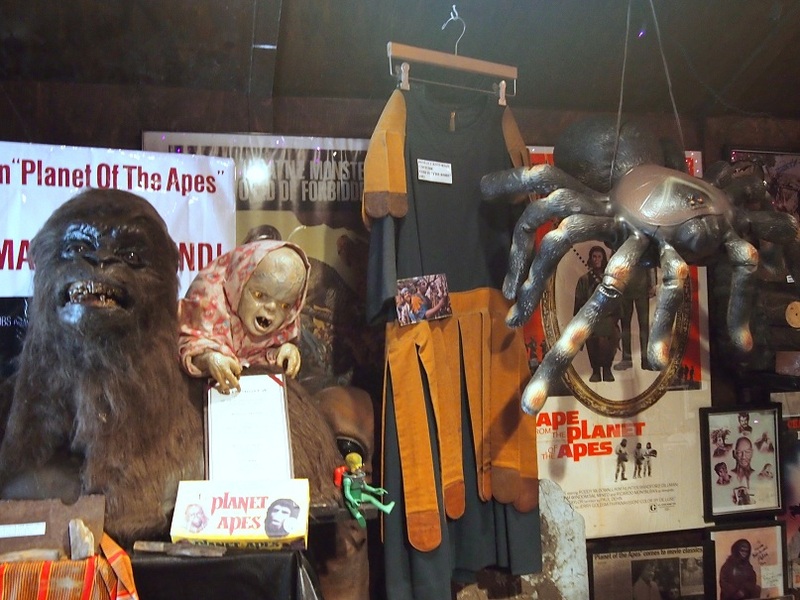 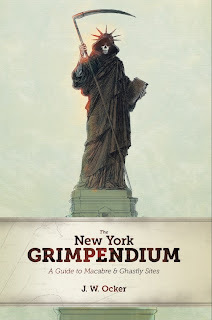 The only difference is that most of the things in the museum are actual costumes and masks and props (or pieces of props in many cases) from movies that range from the original King Kong to the original Planet of the Apes to the not-original I Am Legend. Collector Joey Vento is not a 12-year-old boy, but that's probably the worst thing I can say about him. He’s a genuine and enthusiastic monster movie fan, as well as a genuine and enthusiastic person. 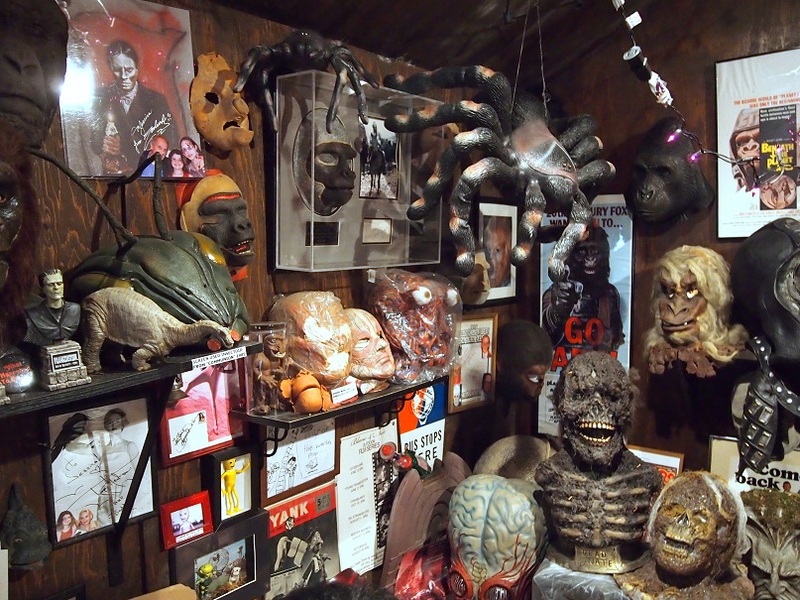 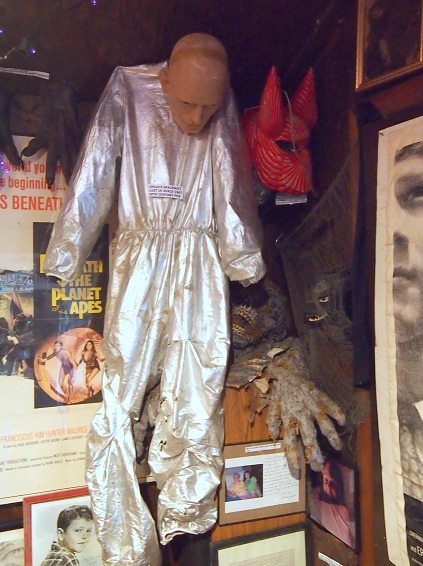 He runs an entertainment business called Movies to Go that is basically a portable movie theater for events and functions, and his museum also doubles as a venue, so that you can watch a movie like Communion while the bug creature mask from the film looks over your shoulder. Visiting with Joey and his family on a chilly January afternoon was one of my highest moments from traveling for the book. And stealing his prototype Neanderthal head from 2001: A Space Odyssey when he wasn’t looking was probably one of my lowest. 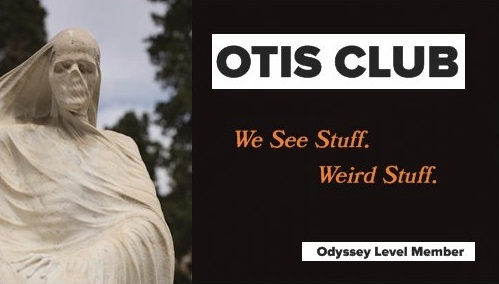 Don’t tell him, please. 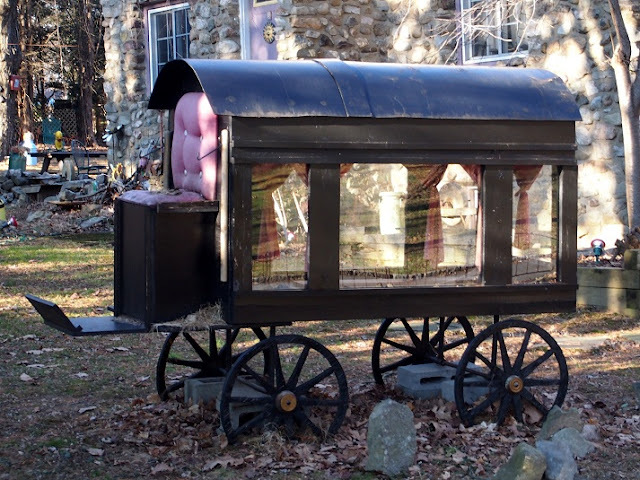 placed just so-so in his front yard?